Do you want to bring a unique style to your decor! 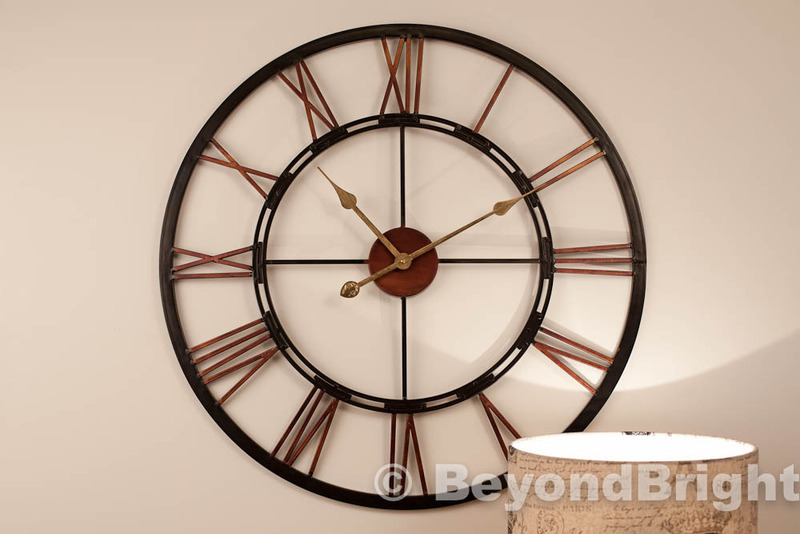 Introducing this stunning large, metal wall clock that is stylish yet practical and will be a feature of any room! Here are 9 reasons why you HAVE to have this wall clock! 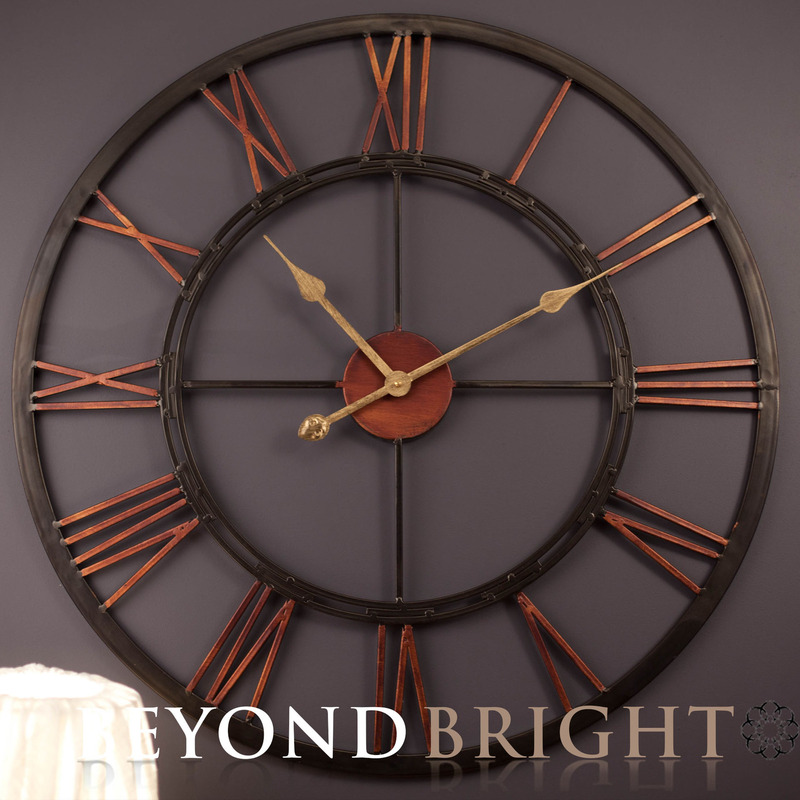 You will not only look at this clock to tell what time it is but it also draws your gaze in every time like a stunning piece of art! 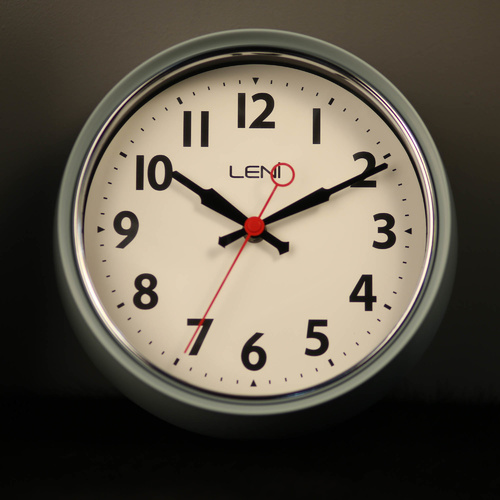 The Mona Lisa of Clocks! 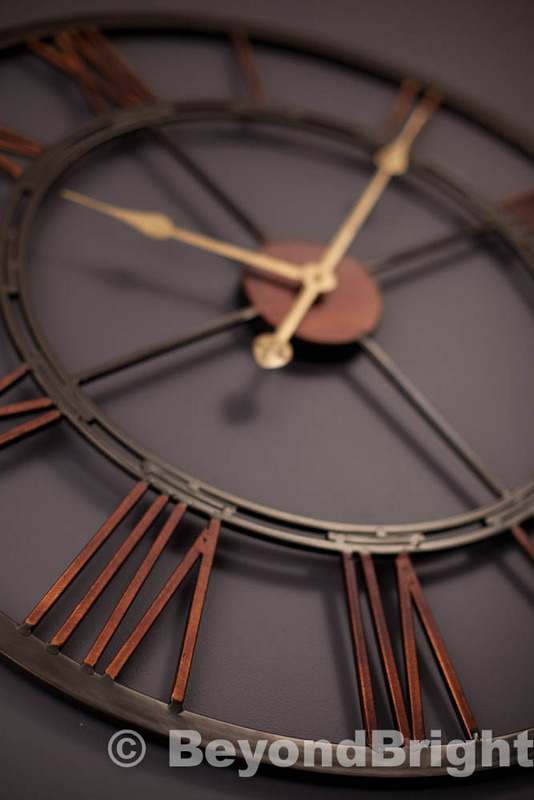 The clock is hand made, so each piece is unique and rustic and has fine detail in places where parts were welded together. 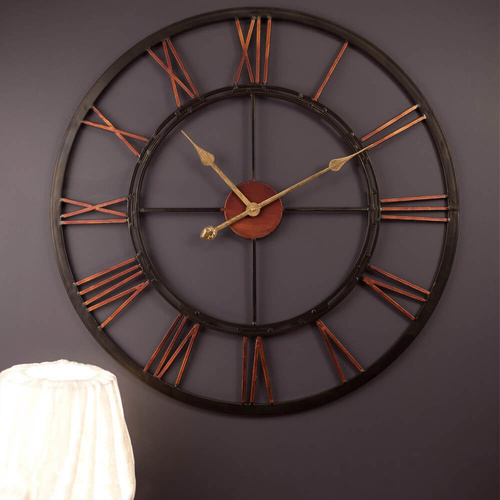 The design is simple yet stylish and stunning - The frame consists of 2 round black metal wrought iron outer and inner rings connected by bronze colour metal roman numbers which pop out of your wall. 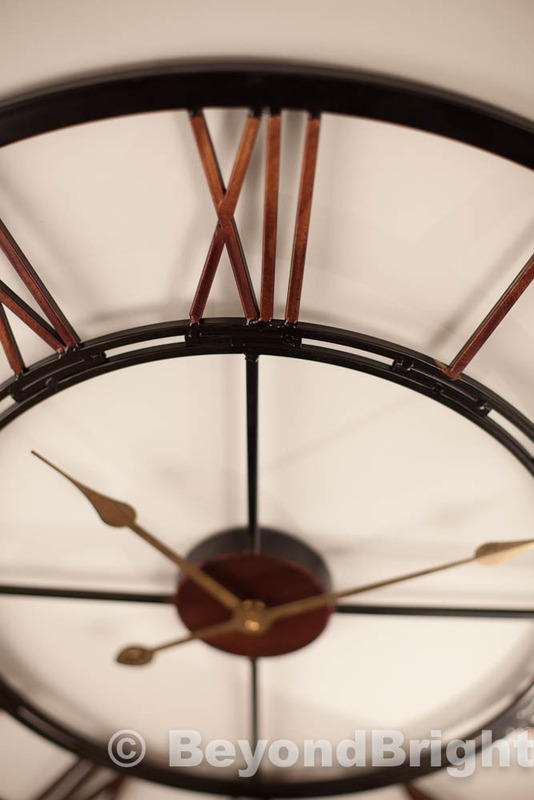 The centre of the clock is bronze with beautiful gold clock hands. 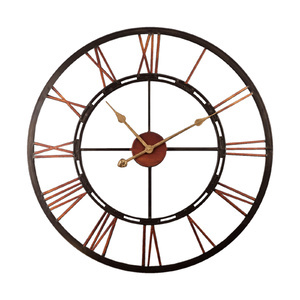 This clock is a X-LARGE 68cm in diameter and will really add that WOW factor to any room! 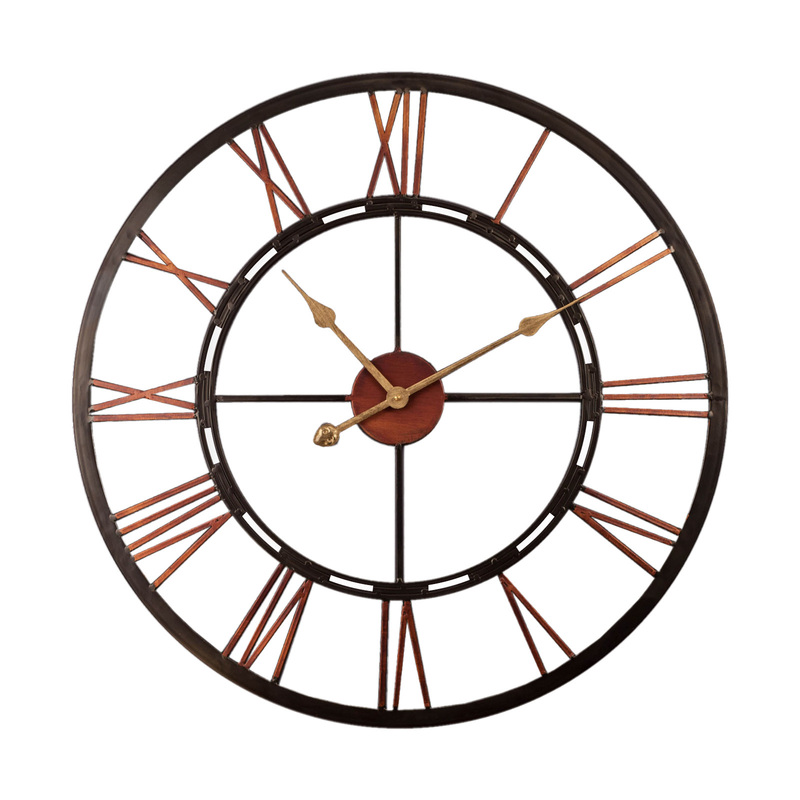 Not to mention, the large roman numbers make it really easy to see the time from anywhere! 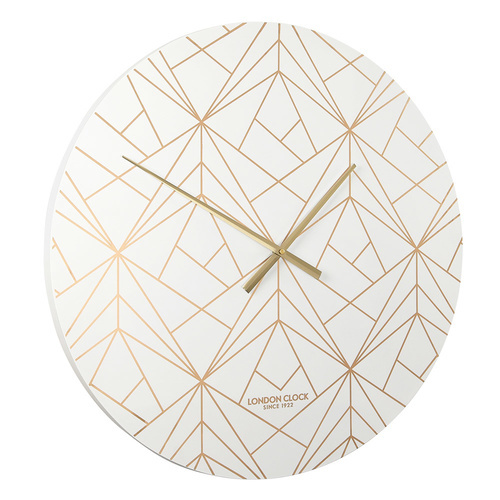 You will never be late again! 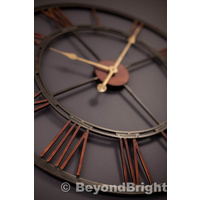 Perfect gift idea, as it will suit any style of home from Industrial, French provincial or a modern decor and it will make the recipient feel extra special as they are getting such a grand gift! 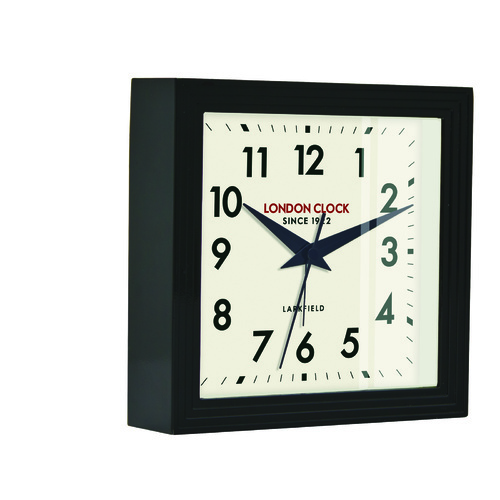 Do not pay retail price for this clock - get it from for a fraction of the cost and with bonuses! 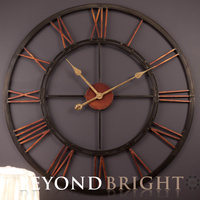 This clock is absolutely beautiful, you will not be disappointed! 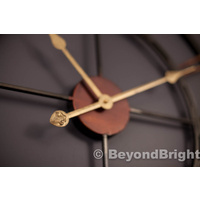 The service I received from Beyond Bright was great. And now that the clock has arrived it looks amazing on the wall, the hands do seem a little flimsy and I hope they work ok, but it looks great. So happy with my clock it looks great on my wall, that has been empty for so long, very one loves it! Our clock arrived quickly in good condition. it looks the same as the ad photo. We hung it on a screw to make it more secure on the wall. AA battery required. It looks good on our natural white wall. 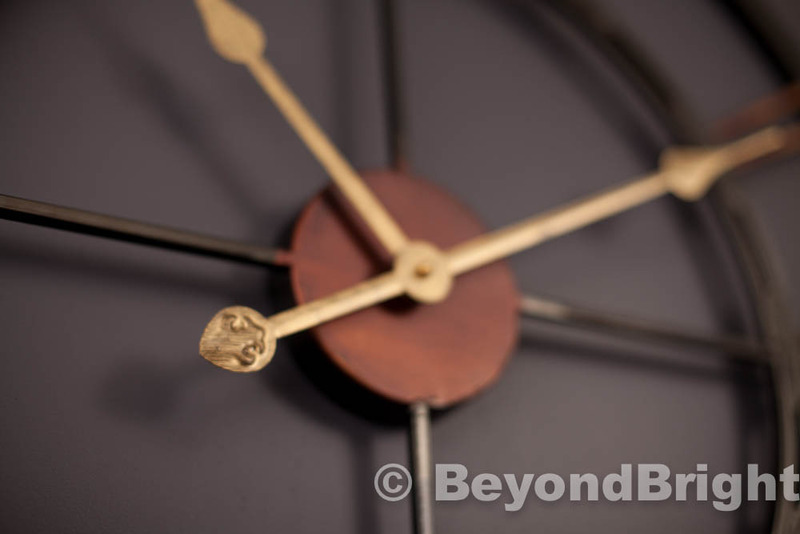 It can be difficult to see the time at first with so much design. Product delivered promptly and exceeded our expectations! Well constructed. 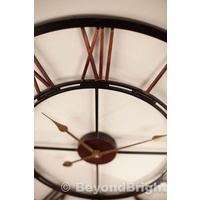 Square section is tube rather than solid but makes the clock lighter to hang. Looks great on a white wall. 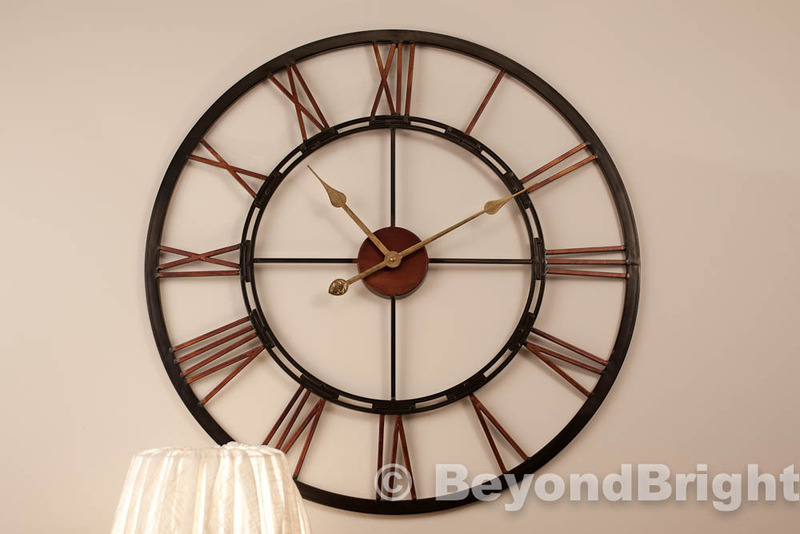 I absolutely love this clock, it adds such a great feel to my newly renovated lounge room. It was delivered promptly, and packaged thoughtfully. Highly recommend buying from this great Australian Owned Company. 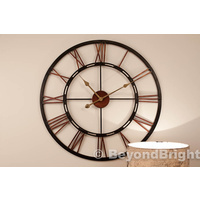 Bought a 70cm black and copper looking clock for my daughter. She loves it. Her house has high ceilings and against her dark grey wall it look superb. 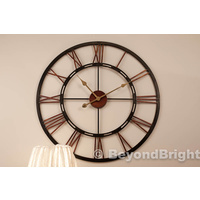 I purchased this clock for our loungeroom. It looks amazing. Everyone who visits also says the same. It's one of my favourite pieces ever. Would highly recommend. Delivery packaging and timeframe was excellent. 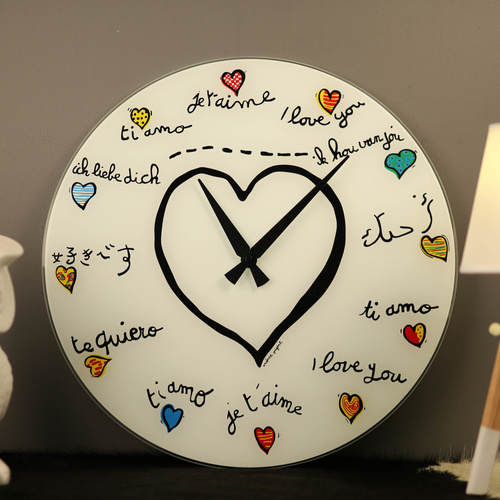 We love the clock! Was perfect in what we were looking for. Very happy with the product & service.